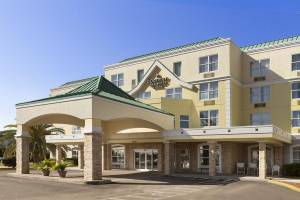 This contemporary hotel is 2.1 miles from Jetty Park and 2.6 miles from Cocoa Beach Pier. The straightforward rooms feature free Wi-Fi and flat-screen TVs, plus minifridges, microwaves and coffeemakers. Some suites add whirlpool tubs, while others offer separate living areas with pull-out sofas, as well as kitchenettes or full kitchens.